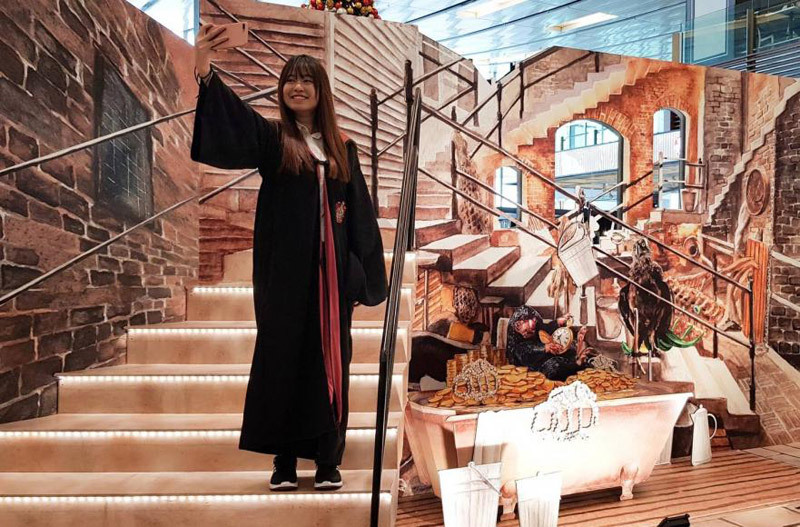 From now until mid-February, areas in the airport’s three terminals have been transformed with setups inspired by a variety of iconic locations from Harry Potter and Fantastic Beasts. 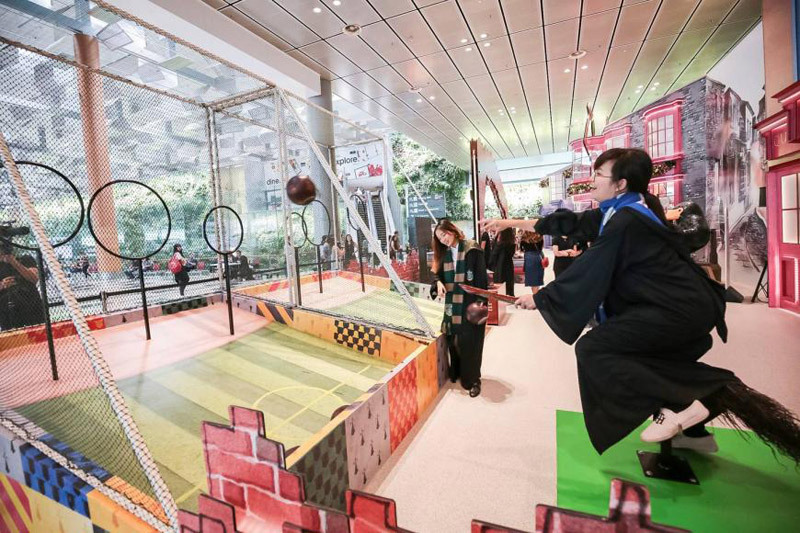 Fhe life-sized setups include interactive activities and themed backdrops like Hogwarts Castle, Hogsmeade Village, Diagon Alley and Newt Scamander’s Menagerie from the film Fantastic Beasts: The Crimes of Grindelwald which just opened in theaters. 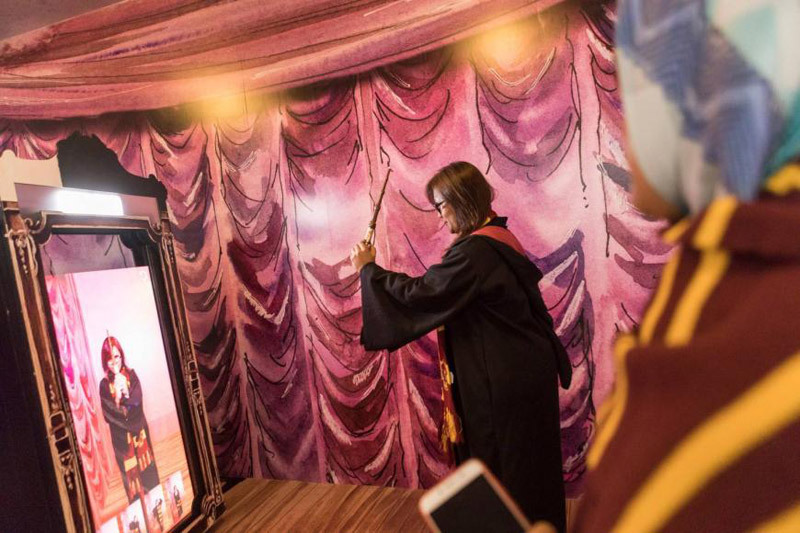 Visitors are invited to try on the Harry Potter merchandise for themselves and capture a GIF photo of the same before a magical mirror booth. They can also partake in a game of Quidditch or snuggle and play around with an adorable giant-sized Niffler.